IRS Form 1099-PATR is a U.S. Department of the Treasury - Internal Revenue Service - issued form also known as the "Taxable Distributions Received From Cooperatives". 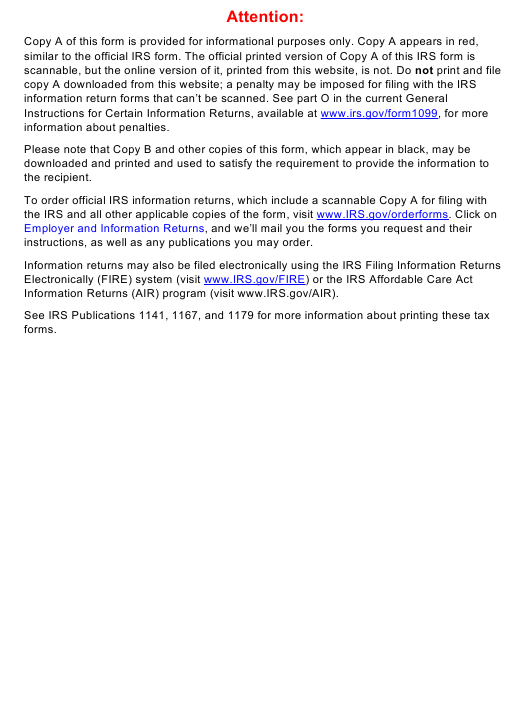 A PDF of the latest IRS Form 1099-PATR can be downloaded below or found on the U.S. Department of the Treasury - Internal Revenue Service Forms and Publications website. Distributions you received from a cooperative may be includible in your income. ordinary income to the extent of the stated dollar value. Pub. 225 for more information. appropriate line of Form 8903.
taxable. However, if (2) applies, reduce the basis of the assets by this amount. nonqualified written notices of allocation). qualified per-unit retain certificates, or other property. tax return as tax withheld.